Winter Holiday Hours: The Flag Shop Vancouver will be closed from December 24 – January 1 inclusive. Winter Holiday Hours: The Flag Shop Calgary will be closed from December 24 – January 1 inclusive. Winter Holiday Hours: The Flag Shop Edmonton will be closed from December 24 – January 1 inclusive. Winter Holiday Hours: The Flag Shop Saskatoon will be closed from December 24 – January 1 inclusive. Winter Holiday Hours: The Flag Shop Winnipeg will be closed from December 24 – January 1 inclusive. Winter Holiday Hours: Open December 24th from 9am – 2pm. Closed December 25th – January 1st inclusive. 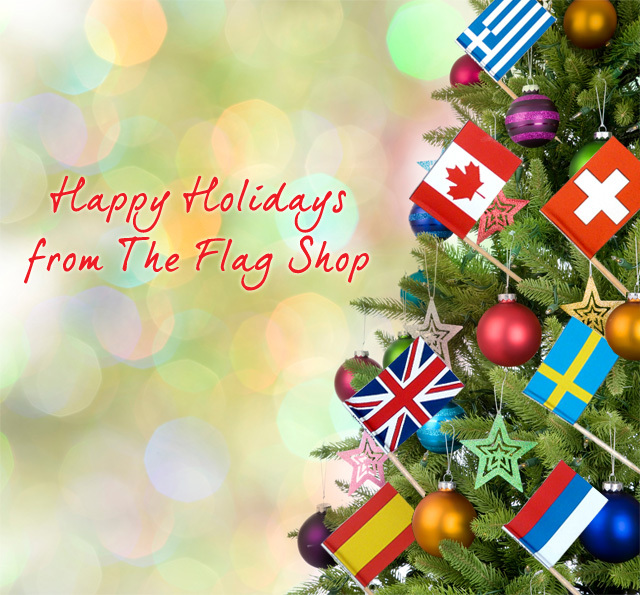 Winter Holiday Hours: The Flag Shop Toronto will be closed from December 24 – January 1 inclusive. Horaires des fêtes: fermé les 24, 25 et 26 décembre. Ouvert de 10h00 à 16h00 les 27 et 28 décembre. Fermé les 29, 30, 31 décembre et 1er janvier. De retour le 2 janvier horaires réguliers. Holiday hours: closed December 24, 25 and 26. Open December 27 and 28 from 10:00 to 16:00. Closed December 29, 30, 31, January 1. Back January 2nd at regular hours. Winter Holiday Hours: Open December 24th from 9am – 1pm. Closed December 25th – January 1st inclusive. Winter Holiday Hours: Open December 24th from 9am – 3pm. Open December 27th – 31st from 10am – 2pm and resume regular hours on Wednesday, January 2nd.